Good Stuff NW: The Czar Gets Saucy! Jack Czarnecki is a busy guy. Not only does he spend countless hours tramping through the woods looking for mushrooms and Oregon truffles to feature on the menu of the Joel Palmer House, the fine restaurant he founded in Dayton, but he's also come out with a line of sauces using Oregon pinot noir. 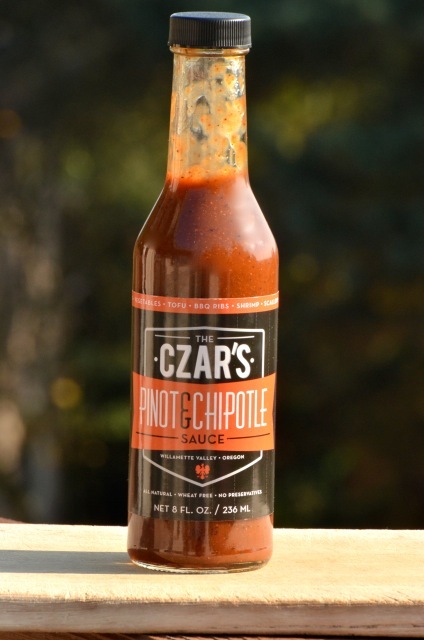 This week's Small Bites section of the Oregonian's FoodDay highlights the four appropriately-named Czar's Sauces: Pinot Szechuan, Pinot & Pepper, Pinot & Habanero and Pinot & Chipotle. He gave me a sample of each one to play with, and I can tell you that the unique flavor of each pepper comes through, with the wine adding a nice depth that you don't get with a lot of spicy sauces. It makes them perfect for using as a sauce on everything from meat to eggs, but also as an ingredient in recipes. They'd be perfect as gifts for your favorite host or to send to spice-loving friends out of town. 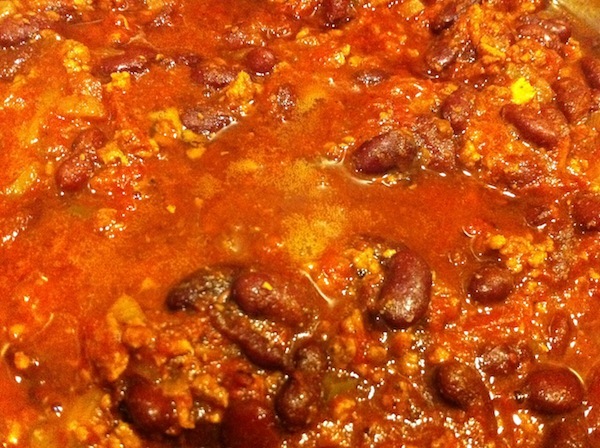 Here are a couple of recipes I came up with (and that got the big thumbs up from the fam), and there are more online! In small mixing bowl, combine all ingredients and stir till well mixed. Heat oil in large Dutch oven over medium heat and sauté pork till browned. Add onion and garlic and sauté till tender. Add bell pepper and sauté till tender. Add remaining ingredients, stir to combine and bring to a boil. Reduce heat and simmer for at least one hour and preferably two or more. Adjust salt to taste. Details: The Czar's sauces are available online and at Newman's Fish Co. and Storyteller Wine Shop in Portland. 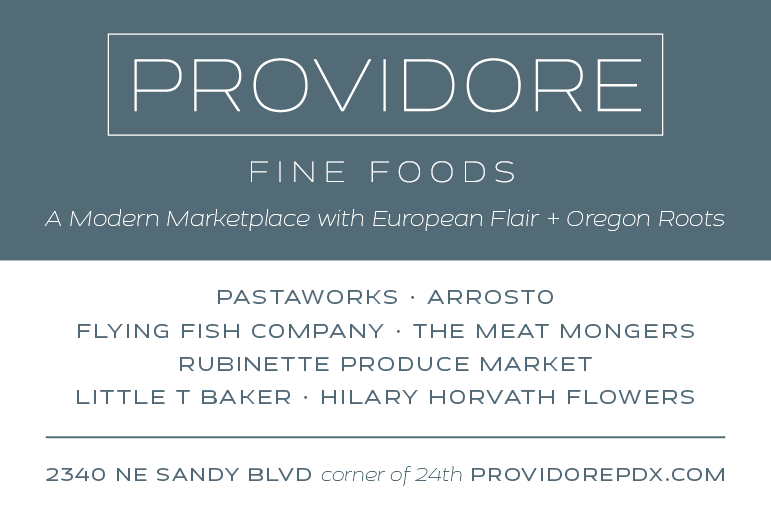 Also at Roth's in McMinnville, Willamette Valley Tasting Room, NW Food & Gifts, WilaKenzie Lavender, Harvest Fresh in McMinnville, Tyrus Evan in Carlton; Zerba and Red Hills Market in Dundee, Rain Dance Gifts in Newberg and Sokol Blosser in Dayton.